Foreign missionaries had discovered the northern highlands in the early 1900s and had found it ripe and ready for their ministry work. When the first Episcopalian priest, Rev. Walter Clayton Clapp, went to Bontoc, a precocious 3-year-old Igorot child named Pitapit attracted his attention. The young Igorot was eventually brought to the Boys’ School in Bontoc. The good priest was so taken by the child that he decided to become his foster father, giving him the Christian name, Hilary Clapp. Pitapit and Rev. Walter Clayton Clapp. Source: “A History of the Mountain Province” by Howard Fry. After a bit of primary schooling in Bontoc, Pitapit was taken to Baguio in 1906 to begin 4 years of education at the new Easter School under the tutelage of Mr. Drury. 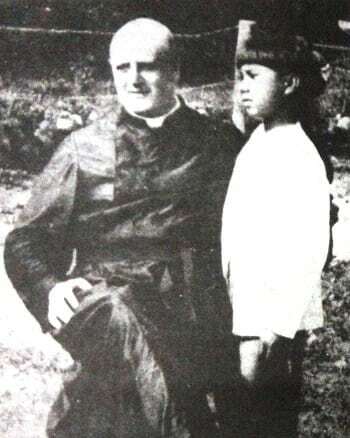 The school was founded by Bishop Charles H. Brent for the education of promising children from the Mountain Province. Original caption: “The Metamorphosis of a Bontoc Igorot. Two photographs of a Pit-a-pit, a Bontoc Igorot boy. The second was taken nine years after the first.” Source: The Philippines Past and Present (1914) by Dean C. Worcester. When his Easter School years were done, Rev. Clapp took Hilary to Canada for his high school education. He moved to Port Hope, Ontario to study at the Trinity College School where he excelled and won prizes for such subjects as Greek, French and Sacred Studies. Sadly, Rev. Clapp died, so Bishop Brent had Hilary brought back home to the Philippines after 3 years in North America. It had been the Bishop’s view that if Hilary were to be useful to his people, then he should remain near them. Pitapit enrolled at the Manila High School, and then at the Junior University, in preparation for a course in medicine. After Hilary completed his medical training at the University of the Philippines, he returned to Bontoc in 1922 to great acclaim. 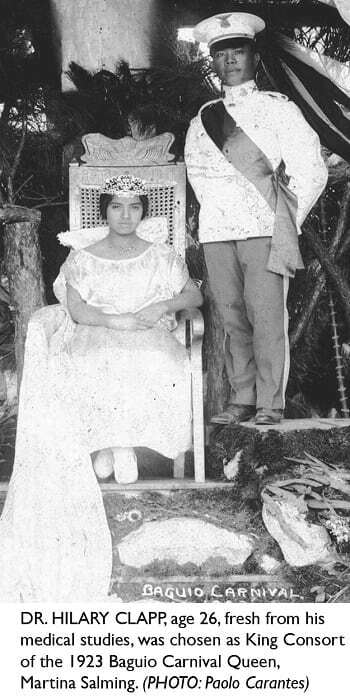 Dr. Clapp, one of only two doctors assigned to Bontoc, was honored by being chosen as the King Consort of the 1923 Baguio Carnival Queen, Martina Salming. He also received recognition for his work as Resident Physician of the Bontoc Hospital (1924-28), and as District Health Officer of the Mountain Province (1928-41). In the Commonwealth years, he forayed into politics even if he had earlier heeded the advice of his American mentors to continue serving his people as a doctor. He represented the interests of his mountain people at the Philippine Legislature especially in the matter of the “gold rush” phenomenon happening in the highlands. In the World War that followed, moves were initiated by the authorities in Manila to set up a new civilian government and Hilary Clapp made history by becoming the first Igorot governor of the Mountain Province. However, Dr. Clapp had to work with Luis Pawid of the former government, to avoid political rivalry. The Japanese Occupation proved to be the most trying times for Dr. Clapp. He sought to protect civilians by preventing the type of guerrilla action which would lead to the savage acts of reprisal by the Japanese. This conflict of approach—between a civilian leader and guerrilla leaders—led to his accusation by the Americans of complicity in the death of one Major Ralph Praeger. On the night of April 6 or 7, 1945, Dr. Clapp and Justice of the Peace Aguirre were arrested by guerrilla soldiers and shot without mercy, just shortly after Yamashita’s surrender. 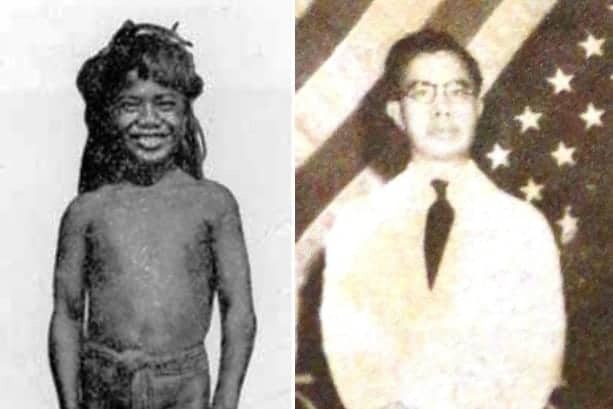 People close to Dr. Clapp had always believed that the real reason for his murder was due to inter-tribal jealousies, spurred by friction between the Bontocs and Igorots; they maintained with conviction that Dr. Hilary Clapp, the Igorot formerly known as Pitapit, had died a faithful Christian and to the end, remained a good and loyal citizen of the Philippines. Fry, H. (1983). A History of the Mountain Province (pp. 128, 178, 211-12). 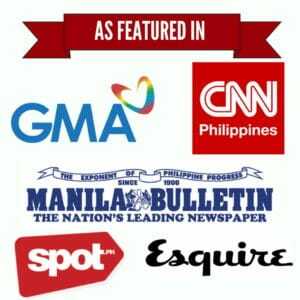 Quezon City: New Day Publishers. Handbooks on the Missions of the Episcopal Church No. III. Philippine Islands. (1923). New York. Masferré, E. (1999). A Tribute to the Philippine Cordillera (p. 12). Asiatype, Inc.